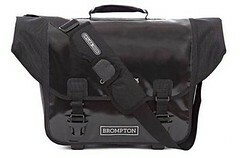 The O Bag from Brompton has been created by Ortlieb specifically for Brompton to ensure the best quality for waterproof. 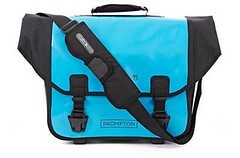 The bag has a 20 litre capacity and features an integral padded laptop sleeve, two removable rear pockets for smaller items and key clip and convenient stationary holders. Available in Black, Lagoon Blue, Orange or White. 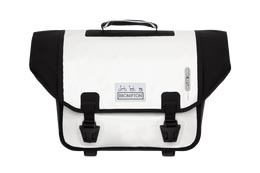 Please note that this bag comes with the integrated frame. 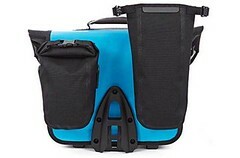 Capacity 20 litres; dimensions 500w x 300h x 150d; comes supplied with a shoulder strap, but there’s no need for a rainproof cover.